The American Pet Products Association estimates that we will spend more than $60 billion on our pets this year, up 25% compared to five years ago. That’s not surprising as cats and dogs are often seen as part of the family. But more and more pets are suffering from obesity. Take dogs for example. According to the American Animal Hospital Association, most don’t get enough exercise, more than 40% are overweight and a quarter are obese. PetMio is a smart tracker and smart food bowl that measure how active your cat or dog is, as well as their feeding behaviors. Launched a few weeks ago on Kickstarter, the ecosystem of devices takes this information along with their age, breed, weight etc, to create a personalized food recipe. The best part about this system is that the food is delivered straight to your door. Each bag contain daily pouches containing just the right amount of organic ingredients for your pet based on their changing needs. The bag will also detail exactly whats in your pet’s food, and the reason why. AI and recipes were created by vets, food and data scientists on the team. “We are all pet owners ourselves and know how important their well being is to us. 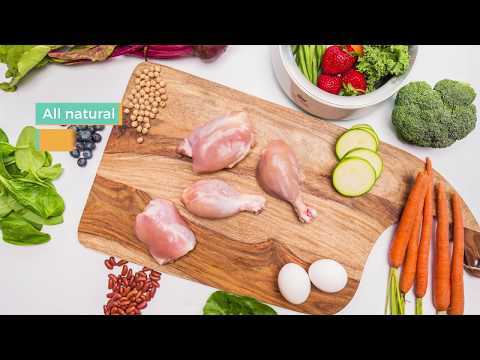 Good health starts from the inside and it’s not a case of one size fits all, when it comes to food,” said Dr. Arlianne Velez, Chief Veterinarian at PetMio. With 12 days to go, the company is very close to achieving its funding goal on Kickstarter. Delivery to backers is expected in the Spring.